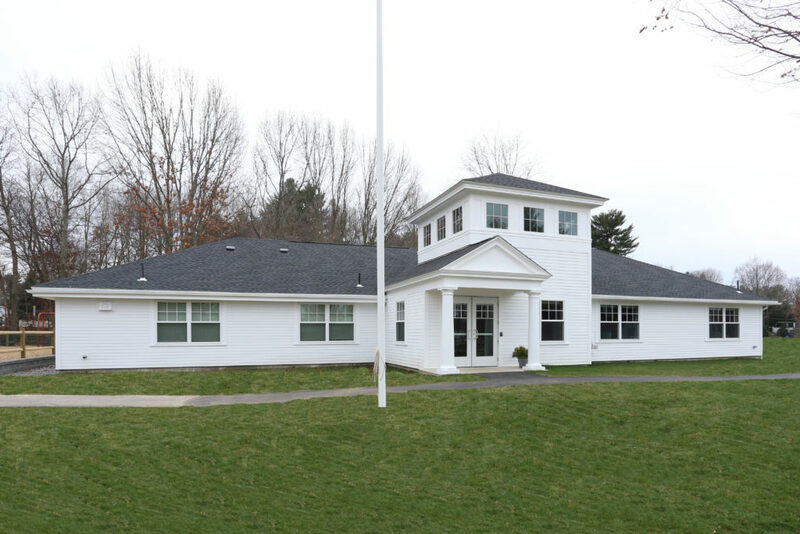 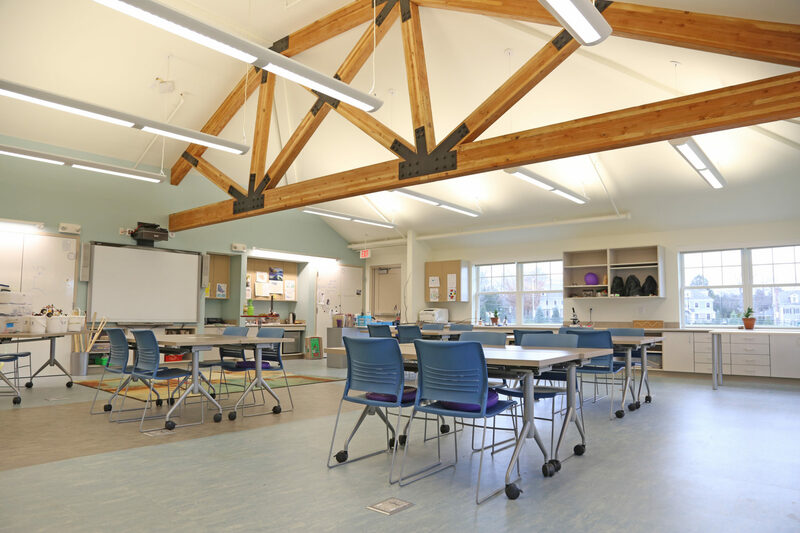 A 7,500 sf ground-up addition and full renovation of the school’s science building which doubled the size of classroom space and added a connecting gallery between the upper and lower science classrooms. The new space features a cathedral ceiling with an exposed wood truss that spans the entire 40-foot width of the classroom, as well as child-height cabinets lining the perimeter of both classrooms. 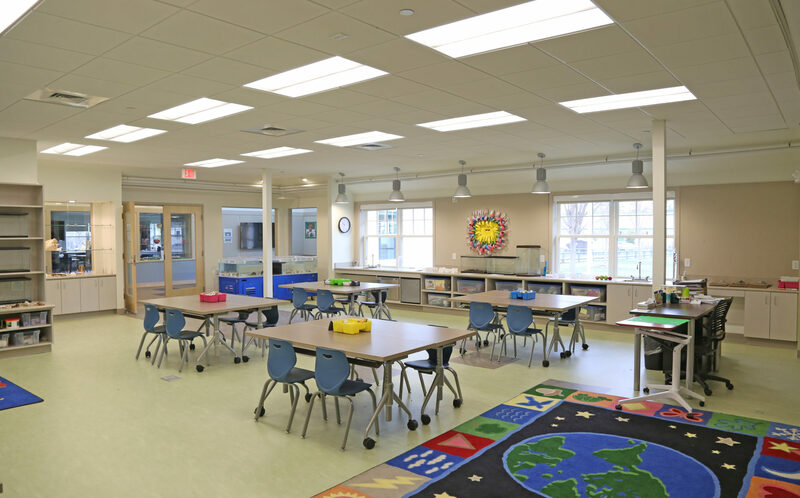 As the renovation occurred on an occupied campus, coordination with the school to create fenced corridors for children to navigate safely through the work site was key to keeping the campus fully operational.